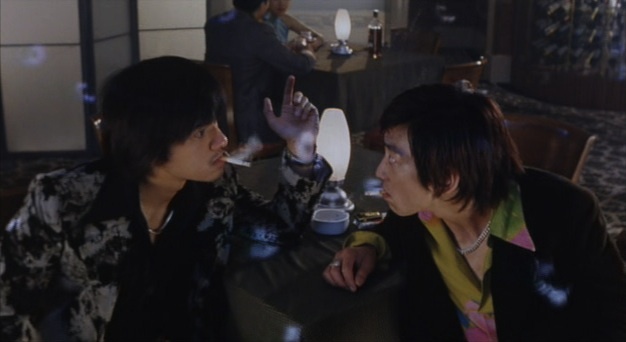 The exotic sounding title of Riley Yip's Metade Fumaca means half smoked in Portugese, and refers to half a cigarette carried around by Mountain Leopard (Eric Tsang) for the last thirty years. 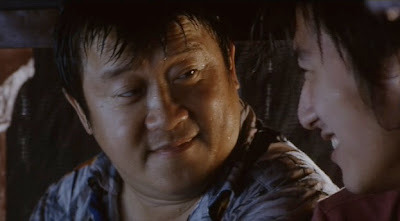 He's been hiding out in Brazil after an altercation over a girl (Shu Qi) with fellow Triad Nine Dragons (Chan Wai Man). 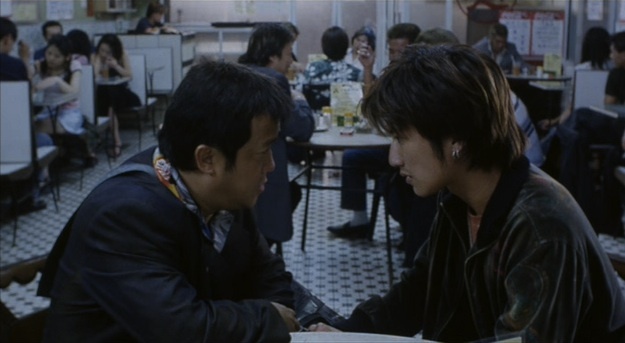 Leopard teams up with young rascal Smokey (Nicholas Tse) in his quest to track down and kill his rival. So goes the basic plot outline for Yip's wonderful film about memories and how we interpret, twist, remember and forget them. With a less sure hand at the helm this film could have been terrible, it's mix of drama, comedy, sentiment and action is a tricky balancing act to pull off and with two lead actors better known for other things, it's to Riley Yip's credit he made, if not a perfect film then one that so many fans of Hong Kong cinema hold dear to their heart. Reviewers often write about how a film doesn't add up to the sum of it's parts, well this is not the case here. 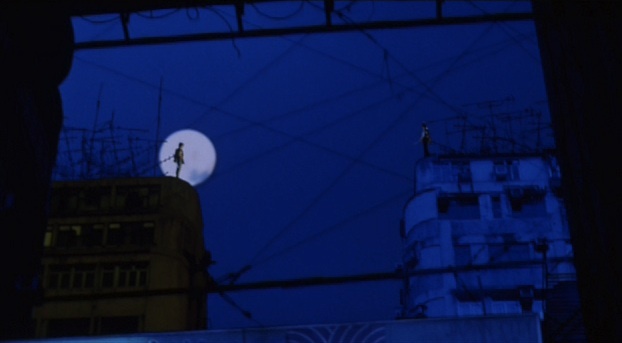 Everything from Yip's own screenplay, through his direction to Peter Pau's gorgeous photography and the great South American influenced score is superb. Added to the technical elements are a fantastic cast, who all add their own flavour to the movie. Eric Tsang has never been better than as Mountain Leopard, developing a touching father and son style relationship with Nicholas Tse's Smokey, again never better than in this film, in fact Tse's career has been somewhat of a disappointment given the amount of promise shown here. Sandra Ng is great fun as Third sister, a book shop owning Triad boss. Anthony Wong shows up in another scene stealing performance as a loud, boastful Triad. 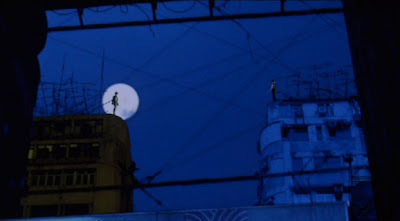 Stephen Fung and Sam Lee are great as the younger versions Eric Tsang and Chan Wai Man's characters, and get one of the coolest flashback sequences in Hong Kong cinema. Kelly Chen and the never more alluring Shu Qi, have little screen time but make the most of what they have. Only Terrence Yin's jive talking Triad seems a little out of place but even he is tolerable. What comes across strongest from Metade Fumaca is the confidence and maturity of Riley Yip's screenplay, taking it's time to introduce and develop it's characters in a way that few Hong Kong filmmakers choose to. Once the story turns in it's different directions, you're fully onboard for the ride. 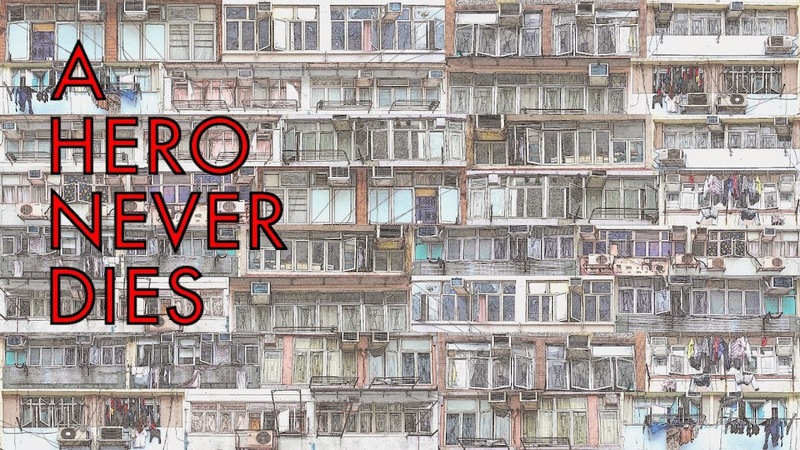 Given certain elements of the story, the film also has a kind of humour and dignity that is so often lacking in Hong Kong cinema, making it all the more touching.